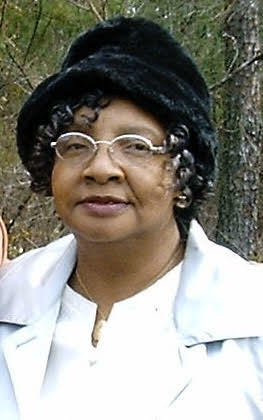 Gracie Louise Price Crawford, 75, was born in Newberry County to the late Bluford and Mattie Suber Price on April 20, 1943. She was the widow of Joseph Crawford. She entered Eternal Rest on the morning of Wednesday, August 8, 2018 at Hospice of Laurens-Clinton. Gracie was a graduate of Bell Street High School in Clinton, South Carolina. She was a devoted and faithful member of Flint Hill Baptist Church in Whitmire, South Carolina where she served on the Gospel Choir, the Usher Board, and the Pastor's Aide Club. Mrs. Crawford was formerly employed with Timken Bearing Company. In addition to her parents and her husband, she was preceded in death by her daughter, Crystal L. Crawford; three brothers, Richard, Robert, and Willie C. Price; two sisters, Annie Ruth Price and Louvonia Simpson; two brothers-in-law, Wesley and Calvin Crawford; and one sister-in-law, Effie Price. She leaves to cherish loving and fond memories her twin sons, Joseph (Debra) Crawford and Joel Crawford; one daughter, Ruby (John) McDowell; five grandchildren, one of the home, Jasmine Crawford, one brother, Sammie (Andreana) Price, two brothers-in-law, Joe Simpson and Thomas "Babe" Crawford; three sisters-in-law, Mary Lou Price, Martha Price, and Lee Angie (John Henry) Glasglow, and a host of other family, friends, and loved ones who will miss her dearly.